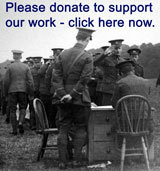 Warrants appointing Non-Commissioned Officers (Colour Sergeants, Sergeants, Corporals and Lance Corporals) as Warrant Officers. Generally Warrant Officer Class 2 (typically a Company Sergeant Major or Regimental Quartermaster Sergeant) or Warrant Officer Class 1 (Regimental Sergeant Major). Warrant Office Class 3 (Platoon Sergeant Major) existed in the Second World One to cover the short of officers as platoon commanders. 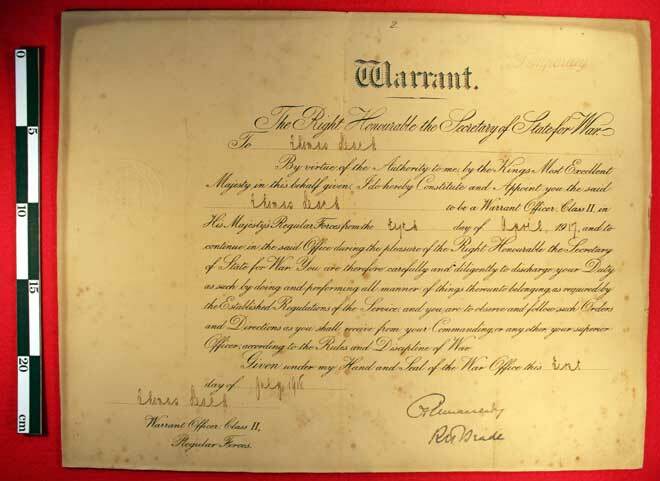 Warrant to Warrant Officer Class 2 Thomas Leach, appointment dated April 1917 and warrant dated July 1918. 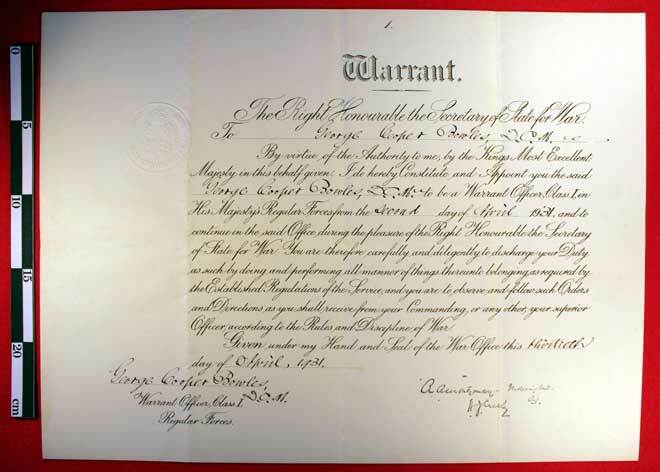 Warrant to Warrant Officer Class 1 George Cooper Bowles, DCM, King's Own Royal Regiment, April 1923.